Bring back the PJ waive! solid trade by Donny here, especially with him being signed for an additional year and an okay price tag for a #3 C. Donato is a super hot and cold player, but still has decent upside. The 5th rd pick is nothing. I wouldn't be surprised to see them kick the tires on another top 6 W.
Good trade, but I hope there is more coming or I won't be happy. 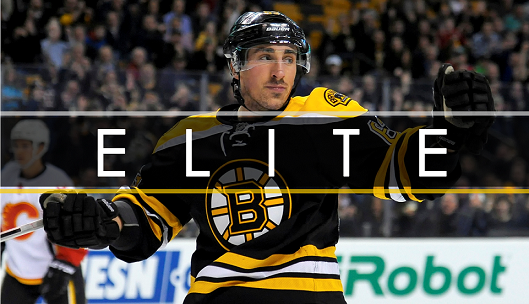 "Elite" is just another way to spell "Brad Marchand"
This deal was a no brainer. As for MoJo.... meh. This is the kind of deal you make when you’re no good at drafting and need to fill minor holes at the last second. Would have rather had Simmonds at the price he was dealt for or Lucic at 50% to at least give this team some balls for the playoff run. People like to compare this team to the 11 team because of players point totals, the depth, and where we currently sit... but everyone on that 2011 team would run through a brick wall to get the Cup and I haven’t seen anything from this team that indicates they have “it” like that team did. This team is being compared to 2011 because they actually have balls. This team is incredibly likable and plays hard every night. MoJo and Coyle were both pretty good trades. Thought we slightly overpaid for MoJo, but I’m fine with it. Lol at trading for Milan “worst contract in the NHL” Lucic. Yikes. You haven’t watched much Bruins hockey this year if you think they’re bullying or scaring anyone..... hence the Sharks beating 2 Bruins up. Team is, in no way, comparable to the 11 team. It’s not even an argument, that’s why I made a mockery of it. Maybe you can read (doesn’t seem like it), Lucic at 3m isn’t even in the conversation for worst contract in the league. On pace for between 35 or so points over a full season with some toughness. Worst contract in the NHL is probably your very own David Backes. You know, the guy who’s making just as much, but can’t fight, can’t score, or even stay on the ice? Oooooh, the Sharks beat 2 Bruins up, and yet were 0-2 against the Bruins this season. So lololol. Bruins are a tough team. No team is comparable to the 2011 team because most teams aren't built like that. Comparing this team to 2011 is dumb, but to say the Bruins aren't tough is just as dumb. Ever heard of looking up the statistics before getting diarrhea fingers? Lucic is on pace for 20 points this season. It will be his worst season of his career. Lucic at 3M is a terrible contract. He's signed for FIVE MORE SEASONS. Who the **** are you to call anyone out on reading or watching when you yourself show you don't do either with this garbage post. Backes and Lucic are on pace for the same kind of production. Lucic is signed for another 2 years. How can you say that Backes' contract is worse than Lucic's contract when they both give you **** production and Lucic is locked up for an extra 2 years of that ****? Yikes is right with this post. Swing and a miss. And people wonder why the posting has dropped here. This is the garbage we have to come and read? You were just whining in another thread about how that former "little click" would bully people around off this site.... You literally just did the same thing. At least those "bullies" made good points lmfao. Between this post or that garbage above that says you'd rather have dealt for Wayne Simmonds or Milan Lucic at 50% retained over Johansson, just shows how little you pay attention and how out of touch you are with the game. Wayne Simmonds has been horrendous for Nashville. Lucic is horrendous. "DER!! LETS TRAYDE FOR A SLOW AGING POWAHFORWAHD IN DECLINE!!!" I might’ve chosen some different words... but yeah... this lol. Activity is dead everywhere. I was looking at the 3 Boston sports teams I care about on here: Patriots, Red Sox, and Bruins and the activity is just nonexistent. It's sad. 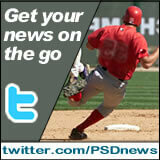 Busyness keeping you off the site? If you're looking for a spot where a few of us seemed to have landed PM me.